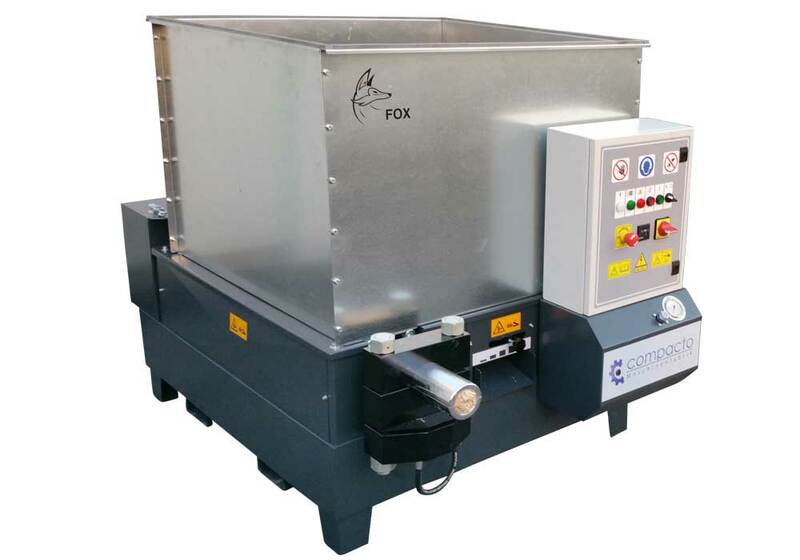 The high quality FOX briquetting presses are able to briquette materials like wood shavings, sawdust, wood chips or other residual materials into stable, cylindrical briquettes. The material moisture content shouldn't exceed a maximum of 18 % ATRO (bone dry). The granule size has to be smaller then 20 mm. 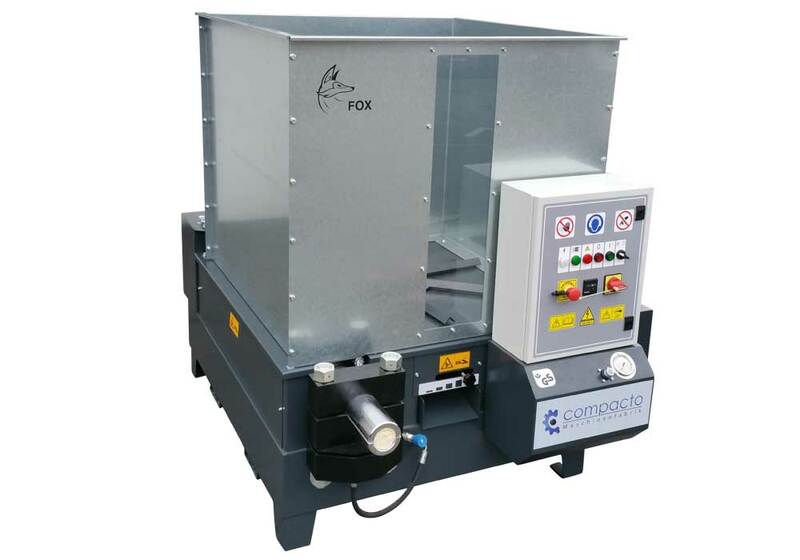 The FOX briquetting presses can be adapted to customer materials, required through put performances and individual spatial conditions. It is possible to choose from various cylinder sizes, drive engine variants and silo shapes. 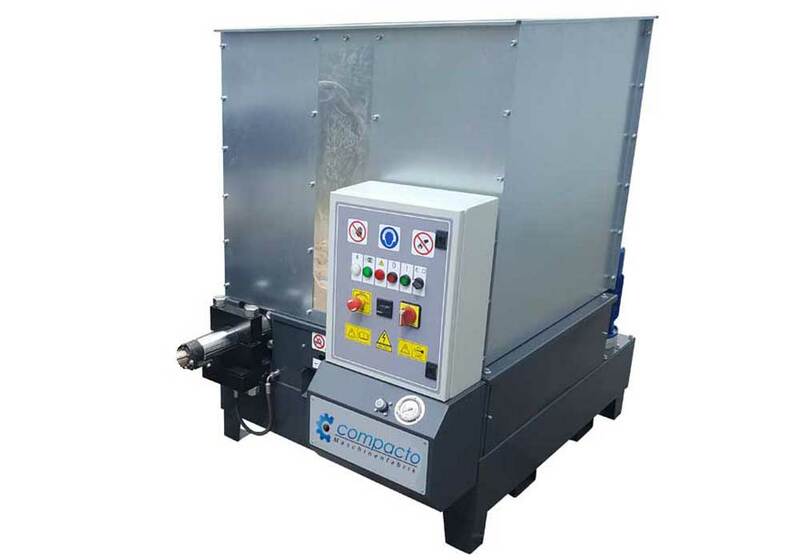 The starting raw material to produce briquettes can be excellently produced by our SHARK single-shaft shredding machines. with a briquettediameter of 50 mm and a Motor of 5,5 kW we reach appr. 30 - 60 kg/h with wood dust, shavings and similar material. with a briquettediameter of 60 mm and a Motor of 5,5 kW we reach appr. 35 - 80 kg/h with wood dust, shavings and similar material. with a briquettediameter of 65 mm and a Motor of 5,5 kW we reach appr. 40 - 110 kg/h with wood dust, shavings and similar material. with a briquettediameter of 70 mm and a Motor of 9,2 kW we reach appr. 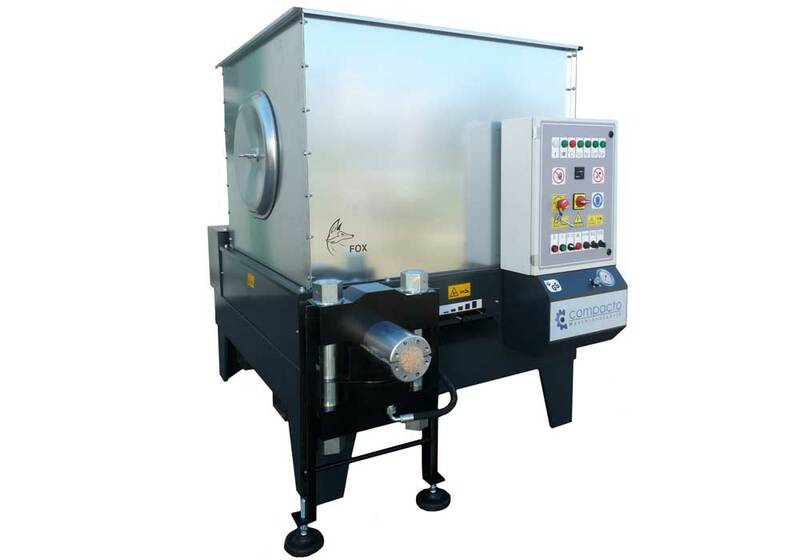 100 - 180 kg/h with wood dust, shavings and similar material. with a briquettediameter of 80 mm and a Motor of 9,2 kW we reach appr. 120 - 280 kg/h with wood dust, shavings and similar material. with a briquettediameter of 90 mm and a Motor of 9,2 kW we reach appr. 140 - 360 kg/h with wood dust, shavings and similar material.